Illustration for Gulf Stream Éditeur in a partnership with the charity Les Blouses Roses. 10% of profits are being donated to the organization which has been striving to bring happiness to people who are hospitalized or placed in retirement homes. 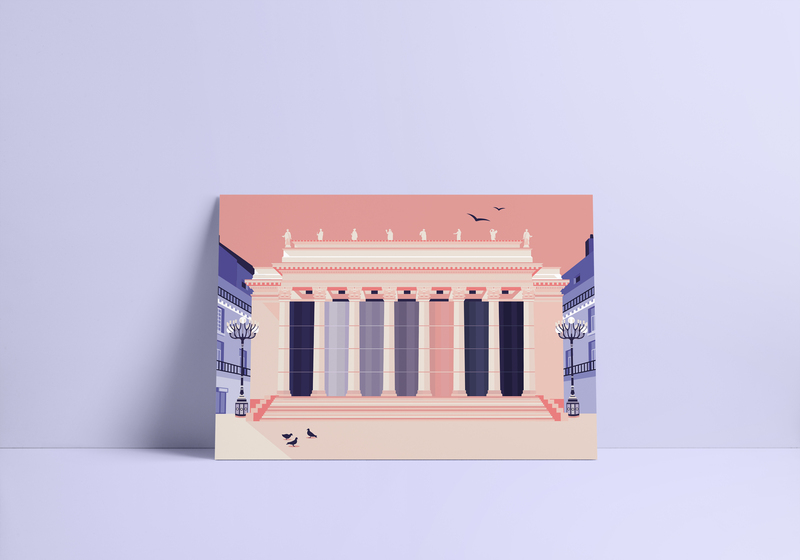 Buy my illustrated postcard of the famous Graslin Theatre from Nantes, France, here.